It is like a box 2x2. Previously I had baseboard on top of the concrete box running along the wall. BUT it was ugly. Does anyone have a better idea what to do or cover this? Maybe I can just paint it as same as the wall and run some 1x2 on top??! Some tile would look good. You can attach the tile easily with some Power Grab or other construction adhesive. Once the tile dries you can grout it and then seal it. 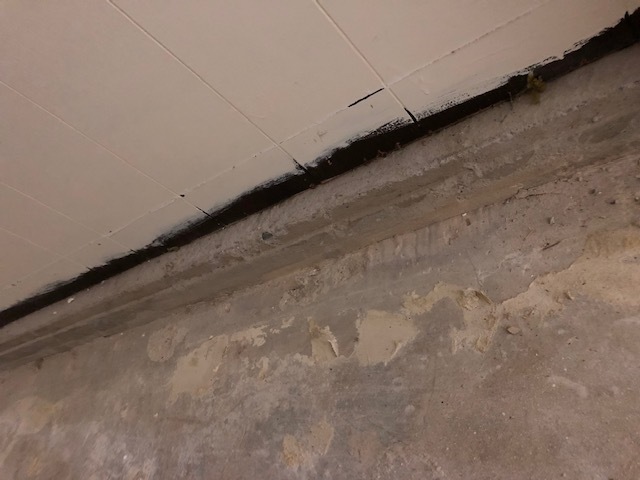 If you are going to put down a wood floor would it make sense to finish the basement walls that would enhance the whole basement. The walls could be insulated then finished any way you desire. This would yield a larger sq. ft. home that you could use as a finished game room or whatever . My first answer was aimed directly at your desire to simply do something with the curbs. However, you also stated that you planned on installing a wood floor. Here is a side view drawing of how you can achieve both issues at once. First, attach a side board on the top of the curbing (Make sure it's level all the way across) Nail it to the concrete wall with cut nails or Tapcon screws. Cut out joists that will sit snugly against the curbing and allow a small space between the bottom of the joist and the existing floor (in case of a basement leak). Nail/screw the joists to the side plates on each end. I would do one joist on each end of the room and then run a string across the top of it to keep the others level. You can adjust the height on each end of the other joists by chiseling out a little more wood from your notches or adding shims. Install 3/4 T&G plywood with liquid nails and screws and then whatever flooring you desire. Not the answer you're looking for? Browse other questions tagged concrete basement hardwood-floor trim baseboard or ask your own question. 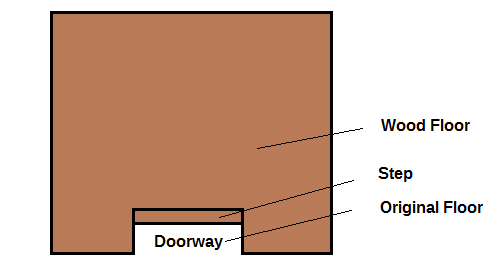 Can I lay down solid wood planks on top of my basement concrete floor? How do I prepare this exterior concrete wall for paint? Is caulk acceptable for filling nail holes in baseboard? Re-framing basement walls after flooding. Drain tile with no concrete?